Joseph Anthony "Joey" Barton is an English footballer who plays for and captains Premier League side Queens Park Rangers as either a central midfielder or a winger. Born in Huyton, Merseyside Barton is the oldest of four brothers. He started pursuing his dream of becoming footballer by joining Everton's youth system, but played for Liverpool when he was 14. He began his football career with Manchester City in 2002 after working his way through their youth system. He debuted with the team in November 2002 against Middlesbrough. His appearances in the senior side gradually increased over the following five years and he made more than 150 for the club. He earned his first cap for the England national team in February 2007, despite his criticism of some of the team's players. He then joined Newcastle United for a fee of £5.8 million in July 2007. After 4 years with the Magpies, he joined his current club Queens Park Rangers in August 2011. His career and life have been marked by numerous controversial incidents and disciplinary problems, and he has been convicted twice on charges of violence. On 20 May 2008 he was sentenced to six months' imprisonment for common assault and affray during an incident outside a McDonald's restaurant in Liverpool City Centre. Barton served 77 days of this prison term, being released on 28 July 2008. On 1 July 2008 he was also given a four months suspended sentence after admitting assault occasioning actual bodily harm on former teammate Ousmane Dabo during a training ground dispute, on 1 May 2007. This incident effectively ended his Manchester City career. Three days after his release, he was charged with violent conduct by The FA for the assault on Dabo. 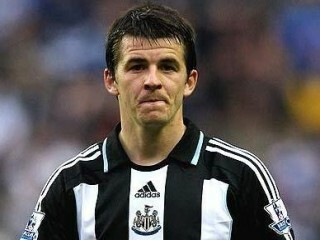 View the full website biography of Joey Barton.